Like a slow parade, cold and rhythmical . . .
And to the murmur of your steps even in dreams I smile. That gaily crossed it like the glass of a river. In your pale hands I placed my destiny! And no greater thing will anyone ever offer you! Storm and time, and life, and death will pass! She is today considered as one of the greatest Latin American Women poets. 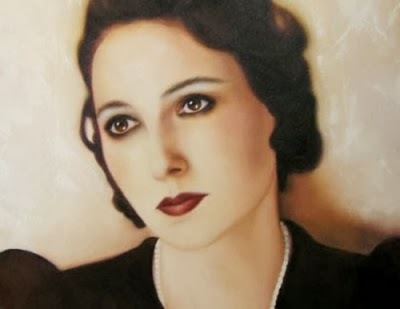 Agustini was the first woman in Latin-American literature to deal boldly with the themes of sensuality and passion. Dr.Alejandro and the distinguished translator Willis Barnstone have done a wonderful job in translating her poetry.